dough mixer, egg beater. During the Middle Ages this referred to the baker not a machine. Dampen semolina and let sit until soft (about 24 hours). Mix eggs, flour and other ingredients knead until smooth from 20 to 25 minutes. 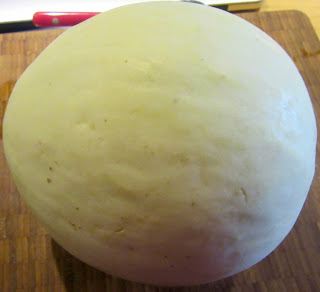 Make a ball with this and cover with a cloth. Put in a dark place and let rise (this can be 15 minutes or overnight). Place the dough on a floured surface and roll out into a square about ½” thick. Cover with a towel and let rest 15 minutes. Spread oil on ⅔ of the square. 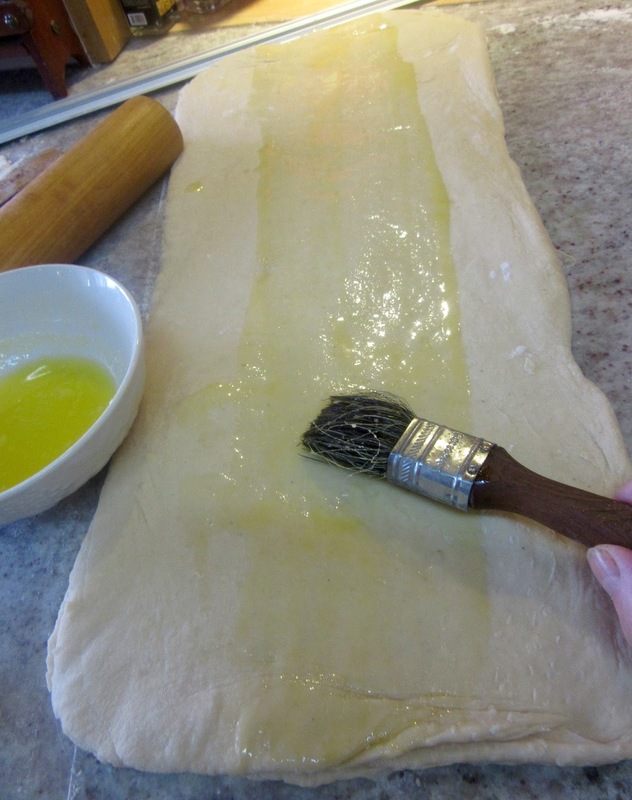 Fold the side without oil over the center ⅓ of the dough. Fold the remaining ⅓ of the dough over this. Put dough on a baking sheet and place this in the freezer for ½ hour. Melt the remaining butter, if using butter. 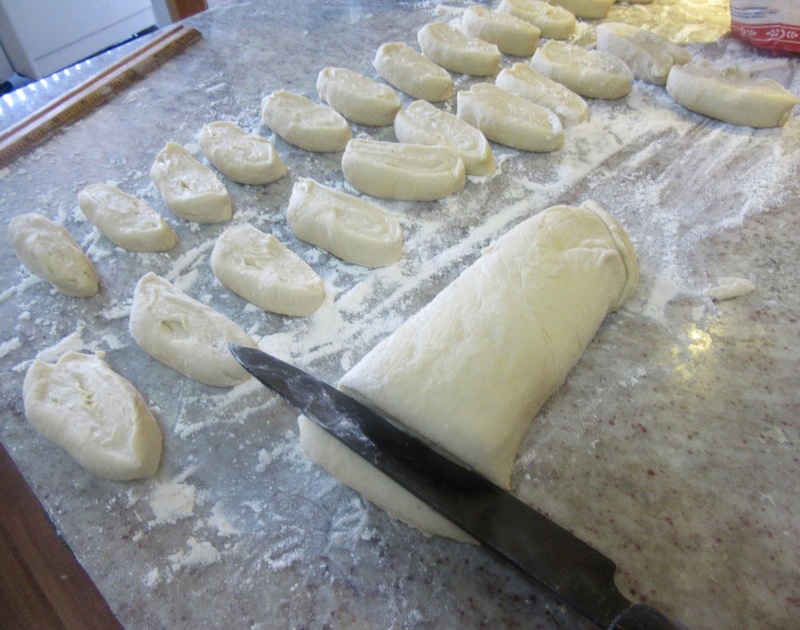 Remove the dough from the freezer and flatten into a rectangle about 24” long and 1/4″ thick. Brush the oil on the center half of the dough. Fold one fourth of the part with no oil over half of the oiled part. Do the same with the other part with no oil. Flatten this with a rolling pin. Brush half of the dough lengthwise. Fold half the dough over the other half, lengthwise. With a rolling pin flatten this strip to be about 1” thick and 3” wide. Cut the dough into ½ to ¾” pieces. Place each piece flat on the cutting board. Roll from top to bottom. Heat olive oil for frying. 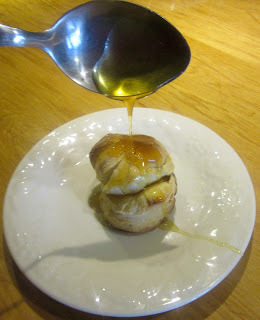 Add bread rolls and roll to cover with oil. Place rolls on a cookie sheet and bake in the oven. Half way through baking turn the rolls bottom side up to prevent burning. When done place the rolls in a serving dish. Drizzle with honey and sprinkle with pepper. 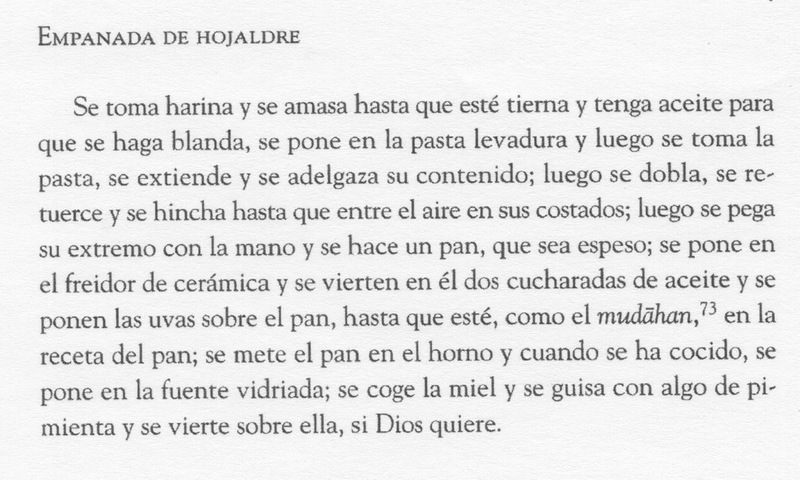 PLEASE NOTE: The original recipe is provided below for the reader to compare differences between the Medieval Spanish Chef's interpretation. 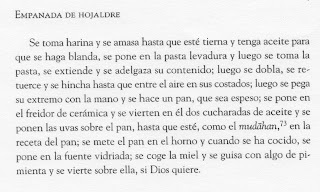 Any alterations from the original text are to modernize applications as cooks have machinery instead of servants to assist preparations; and further to enrich the results, within the lines of product availability prior to the 16th century in the Iberian peninsula. The Medieval Spanish Chef's additions. The original text states: place grapes (uvas) over bread. Perry translated "uvas" to mean "fingers."